Retired librarian Jane Kurahara led a Japanese Cultural Center of Hawaii (JCCH) team to the rediscovery of the state's largest internment camp, Honouliuli, where 300 internees and 4,000 POWs were held. Carole Hayashino, JCCH President & CEO, initiated the grassroots movement to encourage President Obama to proclaim Honouliuli a national monument. Both Jane and Carole were present in the oval office when President Obama signed the proclamation officially making Honouliuli a national monument. Join us today as Carole Hayashino and Jane Kurahara talk about the journey to create the Honouliuli National Monument that opens to the public this month. The Honouliuli National monument will tell the history of internment, martial law, and the experience of prisoners of war in Hawaii during World War II and will be a place to reflect on wartime experiences and recommit ourselves to the pursuit of freedom and justice. Carole Hayashino joined the Japanese Cultural Center of Hawaii as its president and executive director in 2012. She oversees all operations, programs and development of the Cultural Center. She is also on the board of the United Japanese Society of Hawaii and member of the Hiroshima and Fukuoka Kenjin kai. Prior to joining the JCCH team, Hayashino served as vice president for university advancement at California State University Sacramento where she oversaw the external relations of the university including The University Foundation at Sacramento State, alumni relations, university marketing, and publications. She was elected to two terms to the Board of Trustees of the College of Marin in 2004 and 2008 . 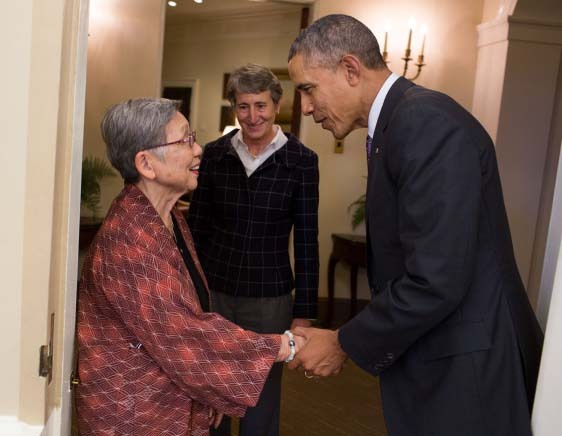 She has also served as associate director of the National Japanese American Citizens League headquartered in San Francisco and was involved in the national legislative effort for redress and reparations for Americans of Japanese ancestry incarcerated during World War II. She served on the advisory board to the California State Library Civil Liberties Public Education Program responsible for awarding grant funds to educational projects to preserve and teach the Japanese American experience.